Drones are small, remotely-operated flying apparatus with cameras attached, which can be piloted from afar, and set up to carry parcels and other small objects. According to a source from the Valence prison syndicate, speaking to the Agence France-Presse, and also reported in local newspaper France Bleu Drôme-Ardèche, the drone in question was able to fly past the prison’s state-of-the-art anti-helicopter lines, and also small enough to go through the wire mesh fence surrounding the courtyard. It was able to land quickly in the centre of the outside space, at a time when nearly all of the prisoners were outside, and drop a "clearly visible" parcel. Although the guards were immediately warned of the breach, the prisoners seized the package almost immediately, and passed it between them before authorities were able to determine its contents. It is thought to have contained drugs. It called for “further reinforcement of security in the establishment”. The prison already sees “near-daily” delivery of “illicit materials” thrown over its walls, the syndicate said, and in 2016 suffered two mutinous riots by inmates. This is the first time a drone has delivered a parcel to a prison - illegally or otherwise - in Valence, but in March this year, a broken drone was discovered in a prison in Villefranche-sur-Saône, in Saône-et-Loire; and in January, two mobile phones were discovered to have been delivered by drone at the Annœullin prison, in the north. 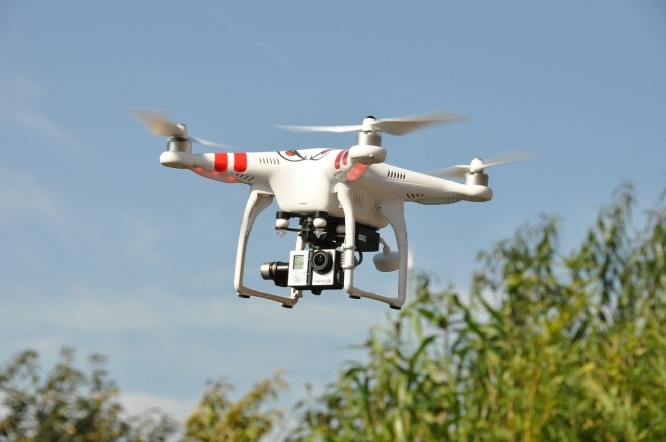 In June 2015, a drone was also seen circulating around the prison in Bourg-en-Bresse (Ain).